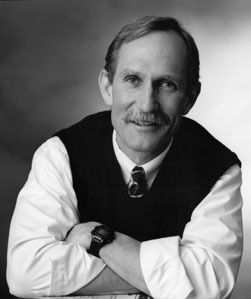 American hematologist Peter Agre (pronounced AHG-ray) won the Nobel Prize for Chemistry in 2003, for his 1991 discovery of aquaporins, proteins embedded in cell membranes that regulate and facilitate the flow of water molecules across and into cells, a process essential for life as we know it. Aquaporins form a channel in the membrane, allowing billions of water molecules to diffuse across the membrane every second, and serving as a river-like barrier to prevent other ions or molecules from crossing the channel. Agre has said that aquaporins are "the plumbing system for cells", and the potential applications of his discovery include the development of drugs to address brain edema following a stroke, fluid retention problems in heart disease, or virtually any other disease characterized by excess or inadequate fluids.